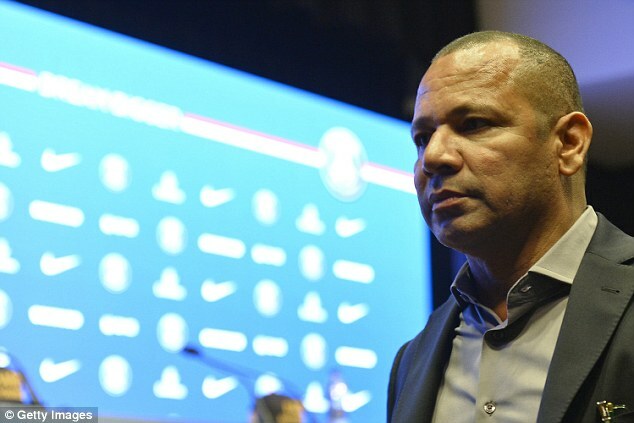 Neymar Snr has revealed his son will need an operation to repair his broken foot, despite Paris Saint-Germain boss Unai Emery insisting on Tuesday that his star man would not go under the knife. 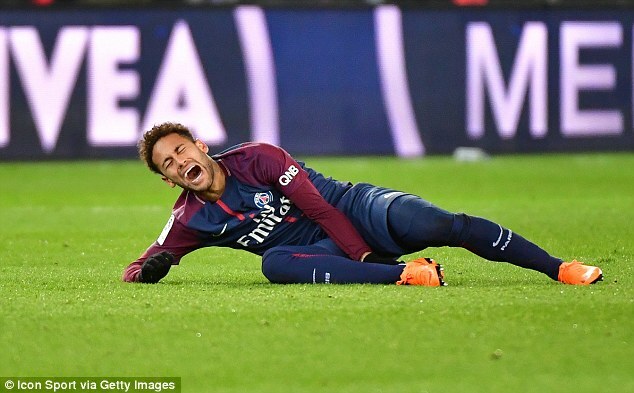 The 26-year-old suffered a broken metatarsal and sprained ankle during Sunday’s 3-0 Ligue 1 win over their arch-rivals Marseille and was in tears as he was carried off at the Parc de Princes. Emery alleged Neymar could have a ‘small chance’ of playing against Real Madrid in their Champions League last 16 second leg next Tuesday, but the Brazilian’s father has labelled that assertion ‘absurd’. ‘Yes, of course he is is out against Real Madrid,’ Neymar Snr told ESPN Brazil. ‘It is absurd if anybody thinks otherwise. At the end of April, Neymar will be able to play football. ‘We are waiting for the (Brazilian national team’s) doctor to arrive, he will have a meeting with the club. The latest development is in complete contrast to what PSG manager Emery had to say on Tuesday after he quashed rumours that his star man required surgery. ‘The information that Neymar will be operated is false,’ Emery told a news conference ahead of Wednesday’s French Cup quarter-final against Marseille. ‘I spoke with the doctor on Tuesday morning and he explained to me what the exams revealed. I also talked about it with (PSG sports director) Antero Henrique, the president and the player.